For many people the relentless pressure to be jolly and festive around the Christmas period can leave them feeling isolated and miserable. While it may seem that everybody else is enjoying the season with their partners or families Christmas can be a lonely holiday for many. Christmas is such a special occasion, filled with Christmas trees, decorations, and not forgetting Father Christmas for the younger ones…but what makes Christmas really special is the unique opportunity to spend time with those nearest and dearest to us. In today’s busy modern world, we are often so engrossed with technology, mobile phones, emails, and Facebook etc. that we (ironically) lose touch with those that we truly care about. The festive season is a wonderful opportunity to reconnect with family, friends and even ourselves. If you feel like you have lost touch with those around you why not devote some time this Christmas to remembering what it is really all about. 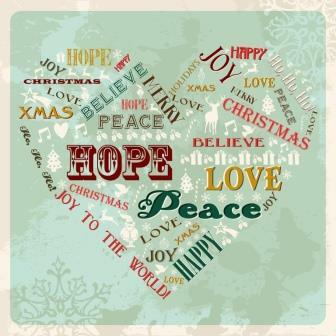 Money, gifts and commercialism aside, Christmas is a time of giving, sharing, and spreading love. If you have found yourself separated from friends and family this year, why not come together with people in your community? Christmas, for all its feeling of family togetherness, can make feeling lonely seem even more profound. Few of us want to be alone, and even less so around Christmas, so if you find yourself facing the holiday by yourself then make the effort to reconnect with lost friends or family members. It may just take a phone call or a letter in a Christmas card to get back in touch with someone once close to you. You may even find they are also looking for a friend to share the holiday with this year. There are many other people who will be feeling low this Christmas, so why not take the holiday to commit your time to helping others. Volunteering can bring joy to those who are less fortunate, and at the same time can provide a great boost to your self-esteem. Consider offering your time to a homeless shelter or spend time visiting residents at a nursing home. Search the internet for opportunities in your local area; you could even end up making some good friends along the way. If you have never thought about flying solo, now’s your chance! Use the Christmas holiday to book a trip away, and turn feelings of loneliness into feelings of freedom and excitement! Exploring a new destination by yourself can give you time to reflect and experience Christmas in a different culture. If you are struggling for money then get in the car and travel somewhere nearer to home. Whether you’d prefer a less populated, quiet location or the vibe of a bustling city, the UK has miles of territory for you to explore. Try changing your attitude to Christmas this year. While this may be easier said than done, choosing to be positive about spending Christmas alone can make you feel happier about your situation. Spending time on your own can be extremely therapeutic, so plan an occasion just for yourself. Prepare a meal for one, or go out into town and book a table. Spend the day enjoying films and television programmes that you love and appreciate the things that you do have. Building your family tree is fun and easy and a great way to discover your family’s history. If you have never thought about trying this before, Christmas can be a great time to start. Many people start mapping a family tree out of curiosity about their family’s past, and it can be a great way to discover things about yourself that you never knew before. You may even find if you have had a recent loss in the family that building a family tree is a good way to reconnect with relatives, they may have lost contact with and bring you closer to them. There are several ways you can build your family tree, with most websites now doing all the hard work for you or you can try talking to parents, grandparents or great grandparents to see what you can find out! It can be a helpful way to help you move on and breathe fresh life into your family. There are many reasons why this can be a great project for you to start, especially around the festive period. You may find members of your family you never knew existed, who may even be living closer to you than you may think. This could be a great time to get everybody together and rediscover your past, something that your whole family can share. With social networking more extensive than ever, it is incredibly easy to find people you may have lost connections with along the way. Planning a family tree can also be a great way to bring your family together, and once you get talking, you may discover things about your relatives that you never knew. It can also be a fun and interesting project for children to get involved with, as well as creating a legacy to pass down to them which may preserve your family’s history for years to come. A family tree can be an interesting and worthwhile project to start, and can help you reconnect with your loved ones, so why not give it a try and watch your family tree come to life! You don’t have to be in a desperate situation to reach out for help. Psychic Light offer a friendly and compassionate voice, where you can talk about anything you’d like, no matter how big or small. Our Psychics can offer their advice on your situation, or could even connect you to a lost loved one. We will be here to support you throughout the Christmas period.